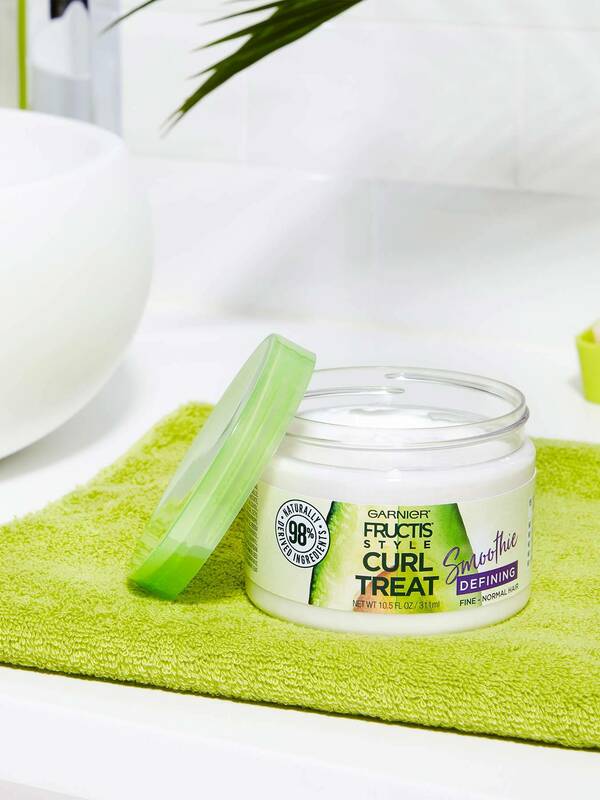 Garnier Fructis Style Curl Defining Smoothie Treat is a leave-in styler for curly hair made for fine to normal hair made with 98% naturally derived ingredients. A 98% naturally derived ingredient is unchanged from its natural state or has undergone processing yet retains greater than 50% of its molecular structure from its original natural source. 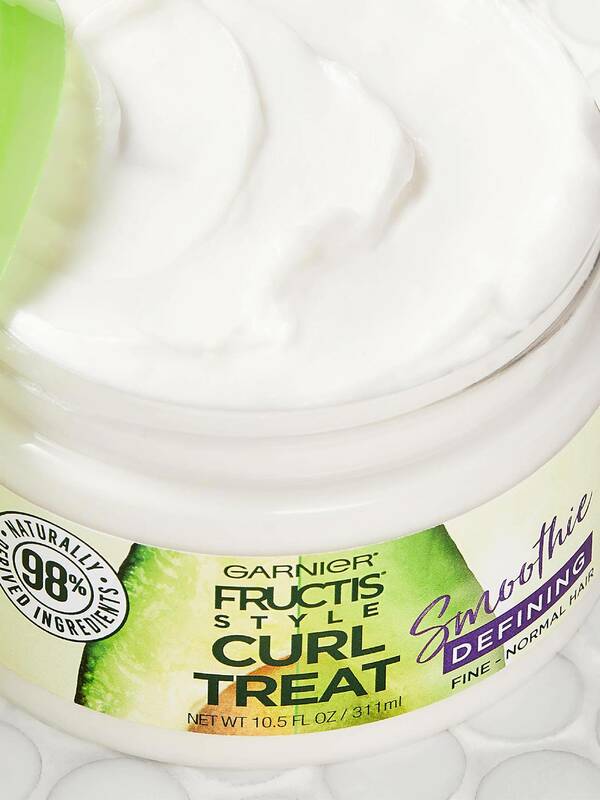 Garnier Fructis Style Curl Defining Smoothie Treat is a 98% biodegradable formula made with no sulfates, no silicones, no parabens, no artificial colorants, and no mineral oil. To get defined, soft curls that are frizz resistant for up to 24 hours, section and apply sparingly to damp hair, rake through strands with fingers to shape curls and then let hair air dry. 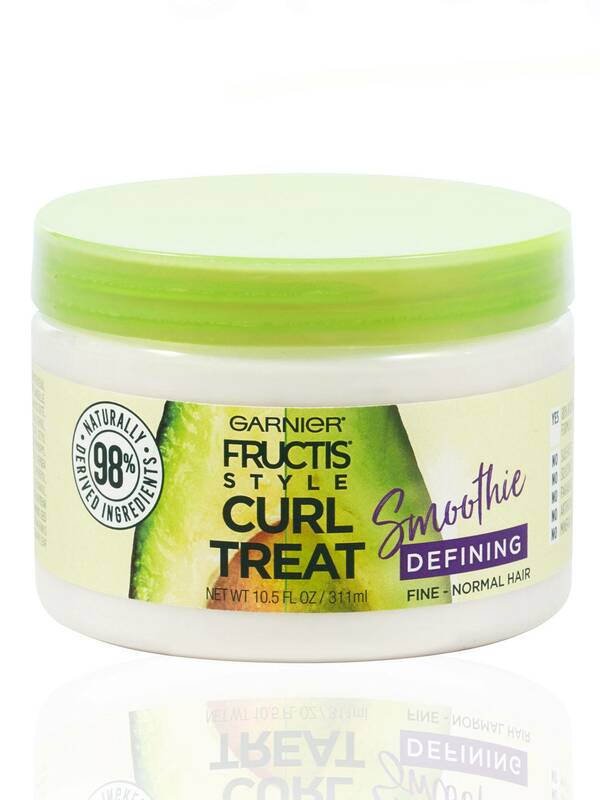 Garnier Fructis Style Curl Defining Smoothie Treat is suitable for color treated hair and formulas may vary slightly in color and consistency. To get defined, soft curls that are frizz resistant for up to 24 hours, section and apply sparingly to damp hair, rake through strands with fingers to shape curls and then let hair air dry. Rated 4 out of 5 by ejallen from I love this stuff! Seriously, it is the best cream I have ever used on my wavy/curly hair. I have fine, thin, wavy hair and I usually use mousse to define the curls. By the end of the day, it is somewhat lifeless, even though the curls are still there. I have very fine hair, so when my curls go lifeless it makes my hair look thinner. This smoothie cream doesn't do that! It leaves my hair soft, like I don't have any product in it, but the curls are there, and they stay soft and pretty all day. It is a thick cream, and a little goes a long way. When my hair is wet, it makes it feel a little bit stiff, but as I dry it, my hair becomes soft and my curls are also soft. It doesn't make them dry, or stiff at all. As I dry it, I scrunch my curls and use the diffuser on my hairdryer. I then use a light hairspray to set the curls, and off I go. I can't say enough about how much I love this stuff! I will be buying this from now on! Rated 5 out of 5 by krishchic from I love this stuff. I apply generously throughout my damp curls and my curls stay supple and defined. Its very affordable and smells good. I would def recommend. Rated 4 out of 5 by destinyr9 from First lets start with the amount of slip you get from this oh and lets not forget the smell! 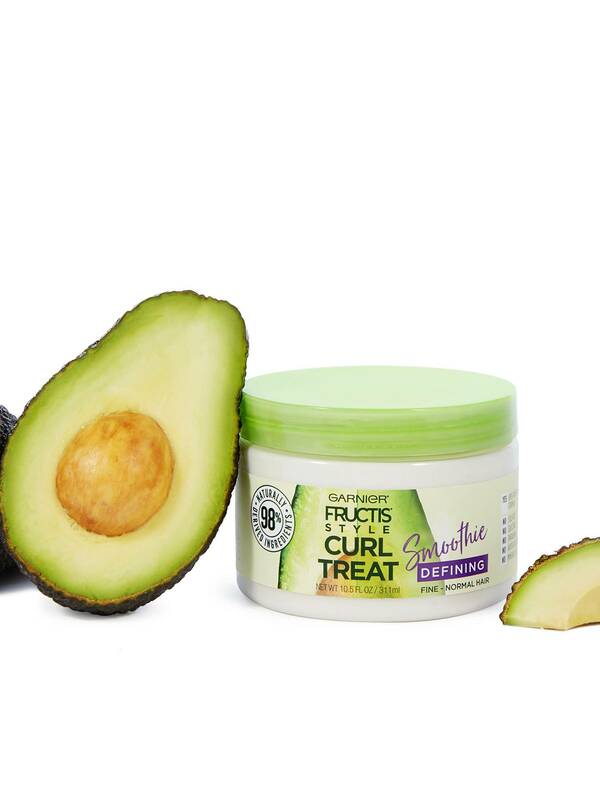 I love to pair this with one of the three minute miracle hair masks for such a great wash and go. This holds up in my hair for at least 2 days without having to refresh! Will buy again! Rated 3 out of 5 by hannahr2b49 from I was excited about this, since its something new that I hadnt tried. It smelled nice, but it did leave my curls feeling crunchy, despite its claims. I may have used too much, so I will give it another shot! Rated 5 out of 5 by maribeldd217 from Good affordable option. It smells really good and it gets the job done. Helps with dehydration and damage!!!!! Rated 5 out of 5 by iralysscae7 from This is great for styling curly hair. Smells great. It allows my hair to be so defined and moisturized.